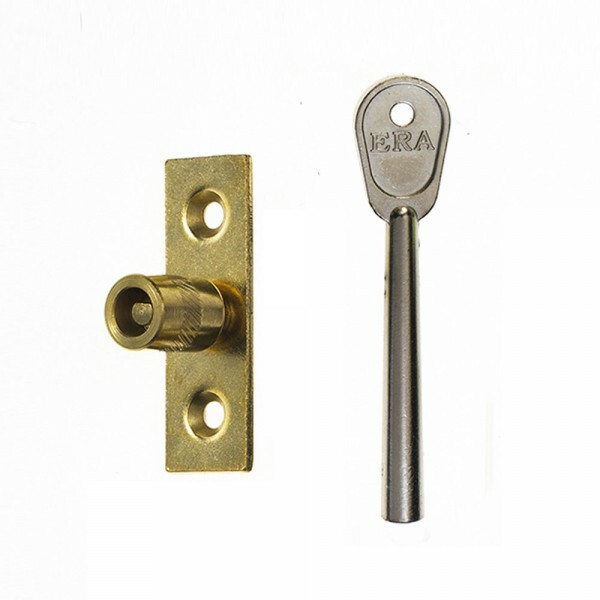 The Era Sash Lock fits most sliding sash windows. 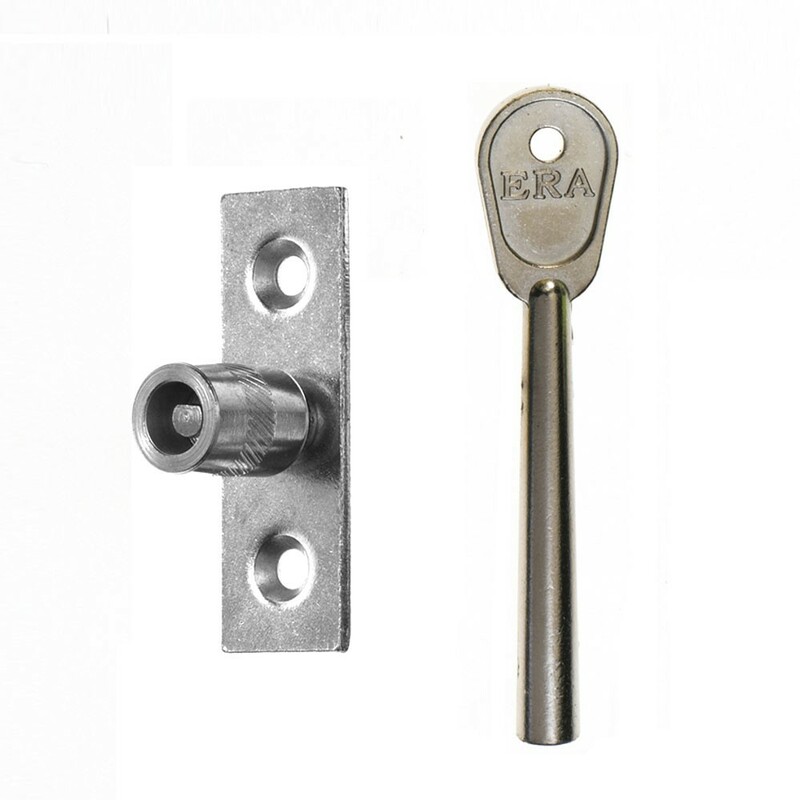 Constructed of steel, it provides a locking window stop which secures the window in the closed position or slightly open position for ventilation, by preventing it sliding past the stop. Key operated stop screws into plate fitted to outer frame.